Sign up here for the challenging course in the iconic Saguaro National Park, with prize money, age group awards, and a tremendous amount of satisfaction. Capped at 750 overall participants. 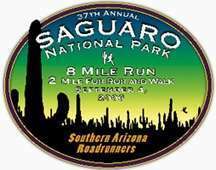 For all the race details, please visit our friends at the Southern Arizona Roadrunners for all the race details.